Signed Copies While Supplies Last! 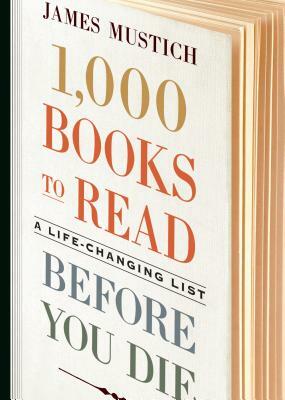 1,000 books to read before you die might sound daunting but it’s certainly good to know what they might be!! James has done a wonderful job coming up with the list (just reading the book could, at a cocktail party, qualify as reading all 1,000 books!!). What I loved were the miscellany of special lists at the end: Want to read in one sitting? Looking for a family read-a-loud? Want to expand your mind? He has the list! This is fun, informative, and motivating.